The convergence of information environments covers all aspects of an organization, its controls, the processes, and people at once. In the article the author does an excellent job highlighting the results of a conference session he hosted on M&A. He breaks down some great points to consider and pitfalls to be wary of when technology centers merge together (the focus is on Law firms but wholly transferable to any organization). I would strongly recommend reading his full post, as he had access to numerous high level CIOs. Merging organizations creates a single entity – this applies for everything from taxes to compliance requirements. An organization that once was excluded from specific disclosure laws may now be obligated. PCI DSS levels of attestation are determined based on each card association’s total accounts processed by a single entity. Two organizations that merge as Level 2 Merchants may soon become Level 1 Merchants. This leap greatly increases the operating technology budgets to ensure greater controls are in place, and initiates a need to develop a plan to achieve compliance. Polices and Procedures of each organization are different, and as these systems are merged together – which is considered best practice, there must be a full revamp of the document evidence. The merging of backbone infrastructure from an organization also introduces larger numbers of access points to sensitive data, and/or increases the scope and applicability of compliance safeguards. These may require a full evaluation of technology architecture and information flows through the system. Finally institute performance monitoring thresholds throughout the environment to further improve the organization’s information systems. A decision should be considered prior to every merger – should this merger happen? A strong question that must be weighed where technology environments are competitive advantages. Other experience on M&A? 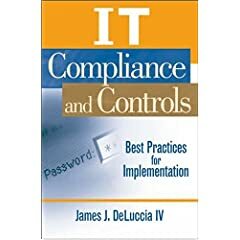 Please add comments and how they effected your PCI compliance efforts. This entry was posted in audit, auditing, IT Controls, mergers and acquisitions, Payment Card Industry Data Security Standard, PCI DSS and tagged M&A. Bookmark the permalink.